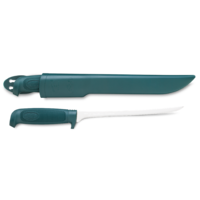 Martiini Filleting Knife Basic Salmon 7.5"
Better filleting for a good price! 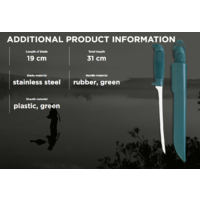 The well fitting rubber handle and the flexible stainless steel blade ensure clean-cut fillets. The extra thin and extremely flexible blade is especially suitable for removing skin and side bones and for slicing fillets. 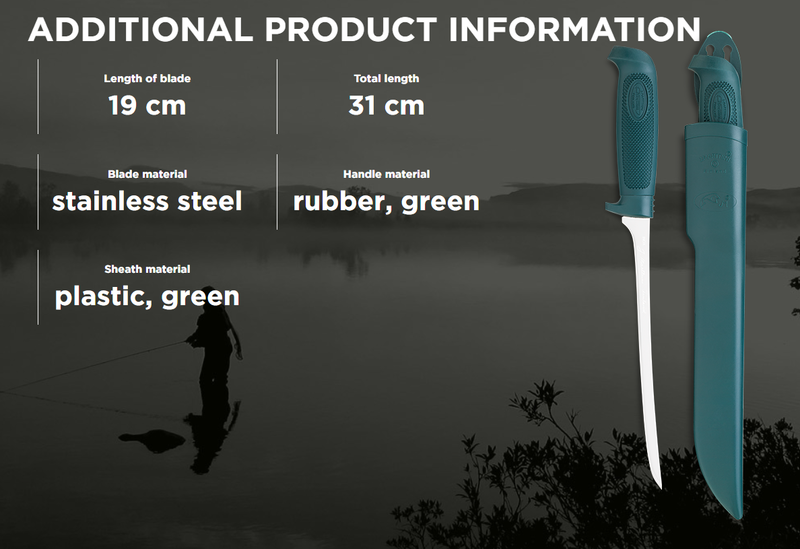 The knife is supplied with a practical plastic sheath. The technical characteristics of plastic, like strength, water tightness and lightness make it a reliable choice for a sheath material. A durable and hygienic plastic sheath is highly practical with knives used under wet and dirty conditions.